STAR ONE STAFFING of Madison, Inc. is a group of recruitment and staffing industry professionals who have been serving the Madison area since 1995. We know what concerns you have as a business manager and we have the experience to focus on your needs from your point of view. As a Manager, time is one of your most valuable assets. Ten to fifteen hours per week can easily be consumed by responding to applicants, interviewing, screening, verifying employment history, and other follow-up. Often this time is wasted on applicants that may not even meet your needs. Star One Staffing is a constant and familiar name in numerous employment guides. Job seekers come to us with diverse skills and backgrounds because of the exposure and variety we can offer them, giving you the advantage of a larger pool of potential employees. With Star One Staffing, you will have exposure to a virtually unlimited pool of experienced personnel with diverse backgrounds. This eliminates the need for you to use your valuable time and resources on screening, hiring (and terminating) employees; this becomes our responsibility. With Star One Staffing providing you with staffing assistance, you can concentrate your energy on operating and growing your business. Star One Staffing has one basic philosophy --- to deliver the highest quality staff possible to you our client so that you can more effectively and more efficiently maintain the quality standards your own clients have come to expect from you. "Temp-to-Hire" hiring lets you evaluate an employee in your work environment on a temporary basis with the option of permanently hiring the individual after a set period of time. 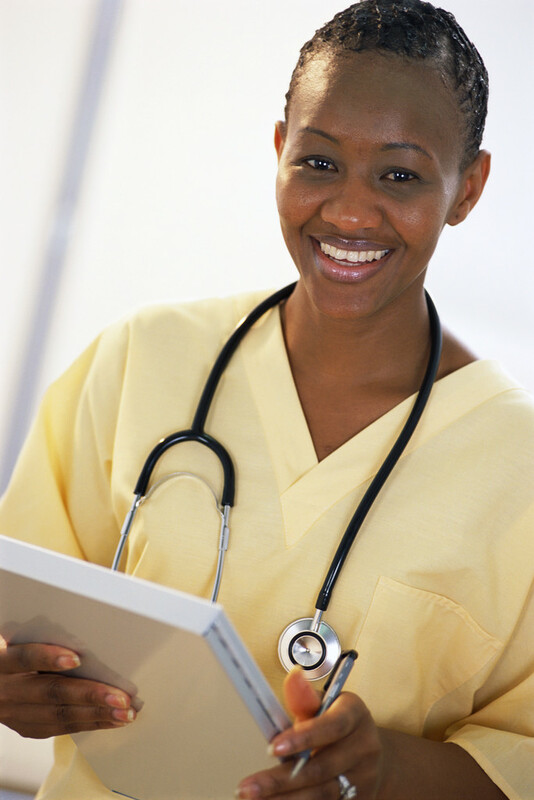 We offer per-diem and permanent placements for RNs, LPNs, CNAs, and Medical Office Support Staff in a variety of healthcare settings: hospitals, outpatient clinics, skilled nursing facilities, schools - virtually anywhere quality medical services are provided. All required Health and Family Services background checks are done as well as prescreening for appropriate licensing and basic testing for all nursing levels. Temporary staffing allows you to convert your fixed costs into variable costs by using employees only when needed. The unlimited business staffing options of our Business Services Division include general clerical assistants, entry level support staff, technical and industrial trades, consulting, telemarketing, executive level support and professional career placements. "Permanent Placement" allows you to interview pre-screened, pre-qualified candidates and immediately hire an individual on a permanent basis. We provide skilled labor for a variety of industries including precision assembly, warehouse production, and stocking. All our applicants are fully pre-screened and tested on basic math skills, measurements, matching, and verbal communication. Any additional requirements the client may have, such as background checks and drug testing, will be accommodated on an individual basis. Star One Staffing has experienced professionals to assist you with your hiring needs and has earned a strong reputation for placing qualified candidates in the professional business arena. 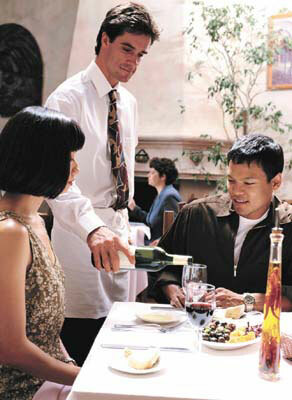 We offer trained food service professionals with diverse backgrounds. Back of the house staff available to you are Chefs, Cooks, Line/Prep Cooks, Maintenance, and Dishwashers. Front of the house staff may include Waitstaff, Servers, Bartenders, Supervisors, and Banquet Set-Up Crews. Whether you're a caterer, a food service manager, or an individual needing help with an in-home party, we have the skilled personnel to help ensure your event runs smoothly. Our policy reflects fairness in pricing and quality service to both our clients and prospective employees. A unique service that is available to those clients who chose not to use our staffing services for hiring, but who desire to have a potential employee tested for qualification and suitability. It gives you the opportunity to determine your prospective employee's skill levels in clerical, software knowledge, math and verbal skills before you hire, thereby avoiding costly mistakes. Leased staff (outsourcing) gives you the option of transferring all of your hiring, payroll and benefit administration to Star One Staffing. Whether you're saving 10¢ every time your bank cashes a check from your account, or $25,000 per year for a Bookkeeper, you'll find that outsourcing your payroll to Star One Staffing is hassle-free, risk-free and contributes to your bottom line. We cover the employee's pay, employer matching payroll taxes, workers' comp, unemployment, professional liability insurance and payroll production costs. Every step in your administration counts against your overall bottom line. Whether you need staff for 4 hours or 40, Star One Staffing has the qualified personnel to meet your staffing needs. Star One Staffing of Madison, Inc.